Human remains have been found near the site where body parts from a slain Renton nurse were discovered last Saturday in Seattle’s Central District, according to a source with knowledge of the investigation. 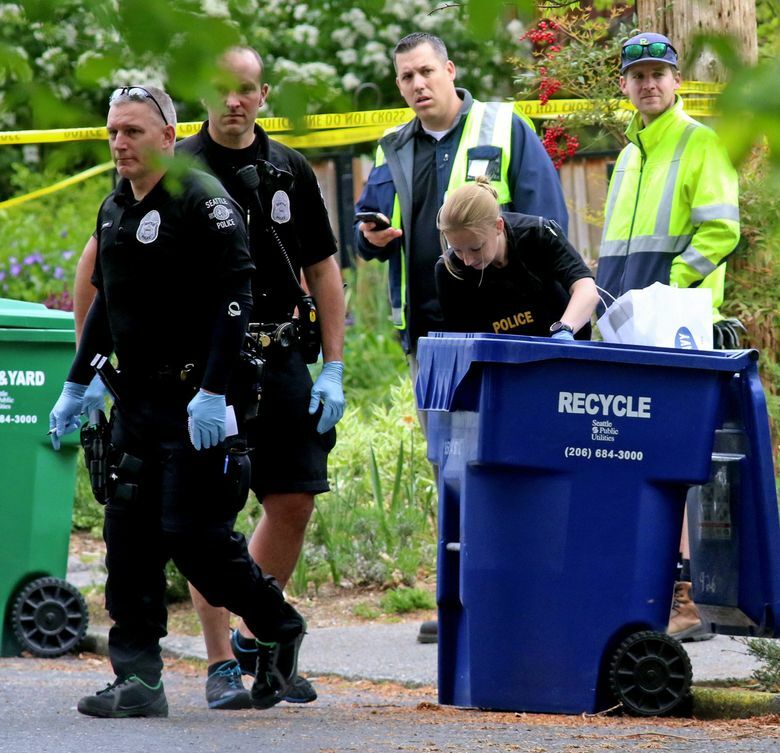 Human remains have been found near the site where body parts from a slain Renton nurse were discovered last week in Seattle’s Central District, according to Seattle police. It wasn’t immediately known whether the remains found Friday morning were those of Ingrid Lyne, a 40-year-old registered nurse who was killed last week. 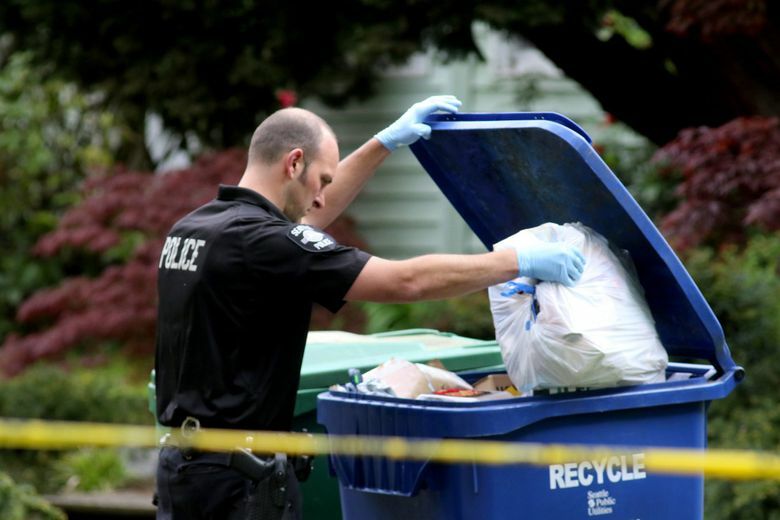 Earlier, parts of her body had been found in a recycle bin a few blocks away. However, police said the remains are likely connected to Lyne’s homicide. The King County Medical Examiner’s Office will make the determination. A trash collector found the remains around 9:45 a.m. Friday while collecting waste along 20th Avenue, according to Assistant Chief Robert Merner. The block of 20th, between East Union and East Marion streets, was cordoned off with crime-scene tape while police investigated. Police set up a tent directly behind one garbage truck. Officers with rubber gloves sifted through recycling and trash bins lining the curb. Police also went door to door asking residents if they have surveillance cameras that may have captured footage of the street. Lyne’s partial remains were found in an emptied recycle bin on April 9 near 21st Avenue and East Pine Street. The King County Medical Examiner’s Office on Wednesday confirmed they were those of Lyne, who died as the result of homicidal violence. The remains included a head, arm, leg and foot. Merner said police searched the area in the following days but did not find additional remains. John Robert Charlton, 37, has been charged with first-degree murder in connection with Lyne’s death. Charlton told police he and Lyne had met online and had been dating about a month, according to court documents. Charlton said they went to the Mariners game on April 8 and then to a bar where he got drunk, then back to Lyne’s home in the Renton Highlands. He told police he doesn’t recall what happened after that. Charlton said he awoke last Saturday on a sidewalk in downtown Seattle, which is where detectives later found Lyne’s 2015 Toyota Highlander. Evidence found by police indicate that Lyne was likely killed and dismembered in the bathtub of her Renton home. Detectives found a saw in the bathroom and blood and flesh in the drains during a search Monday night, the court documents say. Charlton was convicted of felony theft in Montana in 2009; felony attempted aggravated robbery in Utah in 2006, and negligent driving in Washington state in 1998. He had a misdemeanor assault conviction in King County in 1997 and a 2009 misdemeanor battery case in Idaho, according to records. Lyne was the mother of three young daughters, ages 12, 10 and 7, and a nurse at Swedish Medical Center. A gofundme.com page has been created for her daughters. Terrence Jackson was trying to reach his uncle’s home Friday morning when he was blocked by the crime-scene tape. He said after body parts were found two blocks away last week he checked his garbage and recycling bins, but found nothing. He said the discovery of more remains was upsetting. “This is sad. This lady was a mom. She deserves to rest in peace,” he said. Misty Speck, who has lived on 20th Avenue for 21 years, wonders why police didn’t ask residents in the area to search the garbage and recycling bins last Saturday. “They obviously can’t search them all. They might have found this earlier,” Speck said. Lynn Thompson: lthompson@seattletimes.comInformation from Seattle Times staff reporter Mike Carter and news researcher Miyoko Wolf is included in this story, which includes information from Times archives.